In this video clip and during the n17 demonstration, protesters express economic political views such as to save the middle class, pull up the people, lift up the poor, tax the rich, and cut corporate welfare. 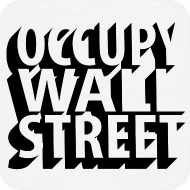 Occupy Wall Street demonstrators say, "Join us! ...because you already are what we are, the 99%!"